Surprising no one, Lucy Lawless was confirmed to be joining the cast of Marvel's Agents of SHIELD today during the Marvel Television panel at San Diego Comic-Con, just days after the news broke unofficially via TV Guide. But the Xena, Battlestar Galactica and Spartacus actress wasn't the only news to come out of the event. Three other additions to the cast were announced, and while the extent of their presence on the show remains to be seen, they suggest plans for a surprisingly ambitious second season. Lawless will play Isabel Hartley, a "longtime SHIELD veteran" who, if the coy description can be relied on, favors bladed weapons and will apparently provide something of a foil for newly minted SHIELD director Phil Coulson. English actor Nick Blood, joins the cast as Lance Hunter, a young agent of STRIKE (SHIELD's UK equivalent), while Whedon alum Reed Diamond was announced as the season's big bad, Daniel Whitehall, better known to Marvel fans as the legendary HYDRA agent known as Kraken. But the nerdiest news of all came courtesy a teaser video starring Patton Oswalt (reprising his role as SHIELD agent Billy/Sam Koenig), filmed specifically for SDCC: Bobbi Morse, AKA Mockingbird, will appear in an unspecified capacity. 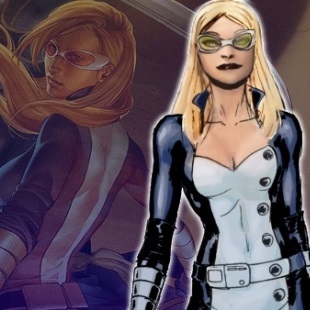 While Lawless is playing a wholly original character, the other three announced characters hint at the deepest connection yet of Agents of SHIELD to the larger Marvel universe. With significant alterations, of course. In the comics, Lance Hunter is Nick Fury's British counterpart, a highly decorated soldier and spy who heads STRIKE, first introduced in the 1970s on the pages of Captain Britain. Daniel Whitehall is a recent addition to the Marvel universe, a HYDRA warrior who functions almost like the Wishmaster, 'helping' people to become their true selves, but with generally terrible results. Mockingbird, meanwhile, is a SHIELD agent most associated in the comics with Hawkeye, notable for preferring a staff type weapon rather than firearms. 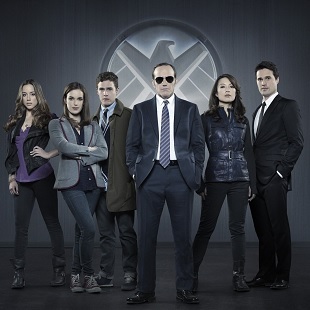 One of the most frequent complaints about the first season of Agents of SHIELD was the superficiality of the show's connection to the larger Marvel universe. That criticism may be overblown, but it would seem the series' production team was listening nonetheless. The three newly revealed characters, implied to have significant roles in the new season, represent the deepest dive yet into the Marvel canon. Whether it will be enough to bring ratings back up to the levels of the show's pilot episode remain to be seen.